The most important poker words used while playing Poker. If you are new in Poker Game and familiar with the poker words then this is for you. Poker is a family of card games which combines gambling, strategy, and skill. You can play online poker for real money in India. There are many websites where you can play this skill game. Equip yourself with the most important poker words. 1. What is ‘Action’ in Texas Hold’em Poker? Is a term used in poker and other card games to signify a player’s chance to act his decision on the table. 2. What is the act of All-in poker? In poker when a player bets all of his money in the action it is called to go all-in. 4. What is a poker Bankroll? The money people manage separately for betting in poker is called bankroll. 5. What is a poker Big Blind in various poker variants? In poker and other similar community game cards, the bigger of the two forced bets is called a big blind. The value of this Big blind is decided by stakes of the table. The big blind is placed second to the left of the dealer button. 7. What is a Bluff in poker? Betting or raising so as to appear to own strong cards when in fact the cards are weaker than the bets placed against. 9. What does it mean to be Busted Busted? 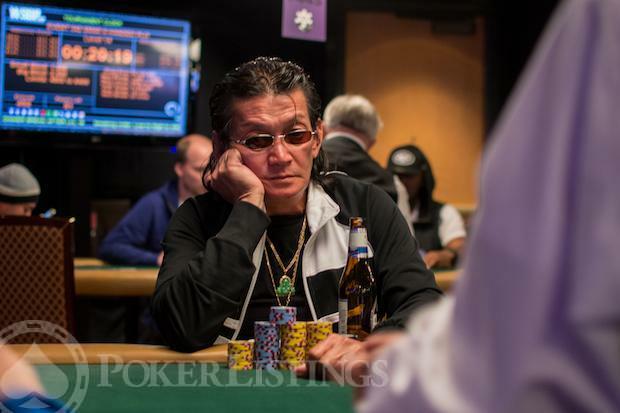 A state of a player in a poker tournament where he/she has spent all their chips. 10.What is the act of ‘Check and Raise’ in the various poker games? In a Hand of Poker, the act of initially checking and then raising in case another player bets is called check and raise. 12. What is poker board? In games like Hold’em and Omaha that have community cards, the area on the table with the community cards is called the board. 13. What are community cards in various poker variants? The cards that are dealt on the board for the common use of all the players are called community cards. In poker, They opened in three steps. The First opens in a set of three called the flop. The second opens a single card called the turn and again the third is a single card called river. 15. Who is a Fish in a game of poker? In poker, a new player who is not very practised and tends to lose money frequently is called a fish. 19. 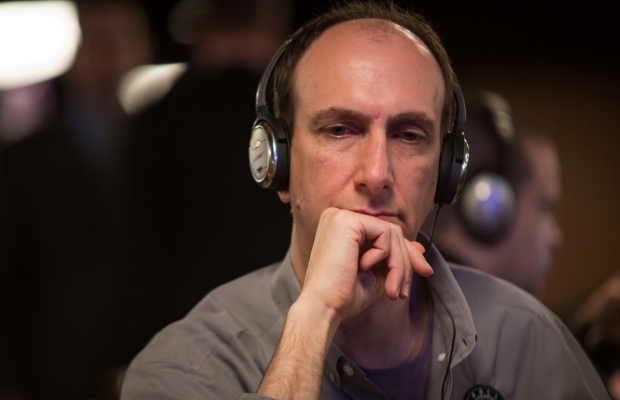 What is a freeroll poker tournament? A poker tournament where players are given a free entry is called a freeroll. 20. What are the hold cards? In the game of poker, the personal cards dealt for each player are called the hole cards. 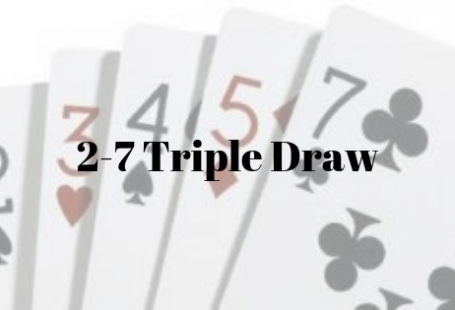 In a game of Texas Hold’em 2 hole cards are dealt and in a game of PLO or Pot-Limit Omaha there are 4 hole cards dealt to each player. 22. 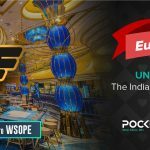 What is limit poker? 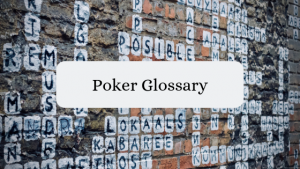 Those poker game variants where limits are placed betting or raising values, as opposed to no-limit poker are called limit poker. 23. What is muck in a game of poker? Much is the act of abstaining from exposing one’s cards to the other players in the end of a hand. 24. What is a pot in a game of poker? In a game of poker, the total of the antes, Blinds, and bets placed int the middle of the table is called a pool. 25. 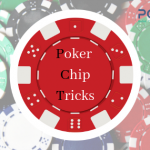 What is preflop in a game poker? The ordeal before the flop is called the preflop. 26. What is raise in the game of poker? Raising is the act of putting more money in the pot than the previous players bet in a poker game. 27. What is ‘re-raise’ in a game of poker? In a game of poker when a player raises the rise of the previous player, it is called a re-raise. 29. What is a river in a game of poker? The 5th community card opened is called the River. 32. What does ‘steal the blinds’ mean in poker? 34. What does it mean by straight flush in poker? A hand sequence of consecutive cards that are suited,is called a straight flush. 38. What is under the gun? The player position placed on the left of the Big Blind is called ‘Under the gun”. this position is usually the first to act preflop. 39. What is poker? Poker is a family of card games. 41. What does it mean by hand ranking in a game of poker? The card combinations are placed in a hierarchy or given ranks. This is to decide which hand combination wins over which.